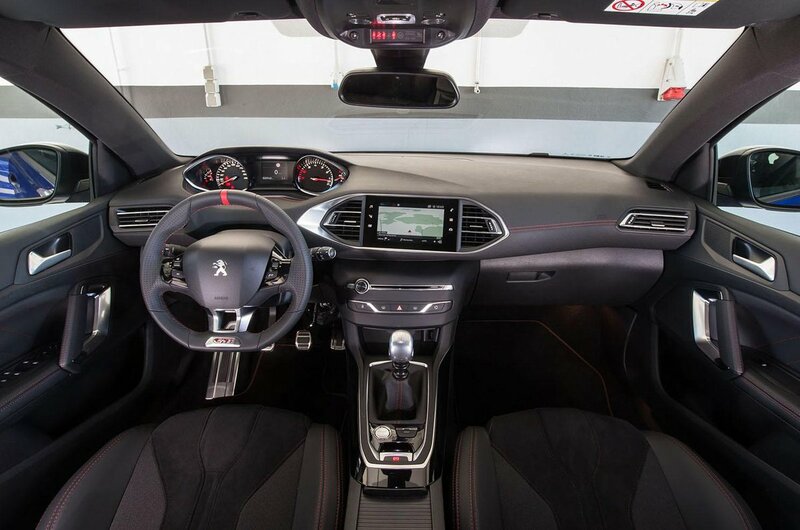 Peugeot 308 GTi Interior, Sat Nav, Dashboard | What Car? As you’d expect from a top-of-the-range model, the 308 GTi is garnished with plenty of extra design details and equipment. 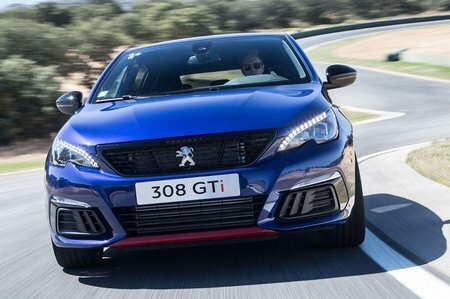 The general layout is that of the regular 308, of course, but the subtle tweaks are worthy of a car looking to compete with upmarket rivals such as the Golf GTI. The 308 GTi’s bucket seats, which are trimmed in leather effect and Alcantara, are of a high perceived quality and the perforated leather steering wheel feels supple in your hands. A Sport button on the centre console allows the driver to increase the responsiveness of the engine, change the instrument panel colour to red (from white) and display certain information such as acceleration, power delivery and turbo pressure. 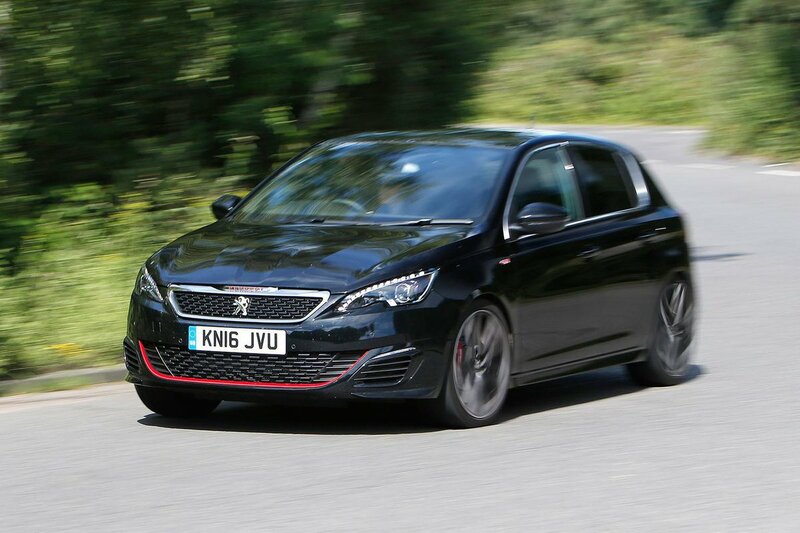 However, despite its sleek and minimalist design, not everything in the 308 GTi is logically set out. The driving position is compromised by Peugeot’s 'i-Cockpit' control layout, which places the instruments high on the dashboard. In an effort to ensure you have correct line of sight, the seat is positioned slightly too high for a hot hatch, and despite this compromise, smaller drivers will still find the dials are obscured by the steering wheel rim. Thankfully, the standard car’s impressive 9.7in touchscreen is carried over to the GTi. The system comes packed with features such as Apple CarPlay, Android Auto and Mirrorlink, each of which allows you to use some of your smartphone’s features, including sat-nav, through the car's touchscreen. However, if you don’t like the idea of using your mobile data, the unit comes with a fully integrated sat-nav system, with three years of Tom Tom Live sat-nav updates provided at no extra cost. The only problem we had arose when trying to use the infotainment system's menus, as some of the smaller icons are tricky to hit on the move. If only Peugeot had fitted separate controls for basic functions such as the air conditioning. Much of the interior benefits from smart trim, but there are some signs of cost-cutting, including a large swathe of hard, scratchy plastic beneath the centrally mounted touchscreen.